Anyone searching for information about sapphires will most likely come across colorful images of bright blue sapphire jewelry along with many different explanations regarding this popular gemstone. This may come as a surprise to some, but sapphires appear in many different colors including a delightful peach champagne hue that seems to have garnered quite a large amount of interest. Let us take a look at the different types of sapphires, try to understand why there is such a focus on blue sapphires, and learn what there is to know about champagne sapphires. 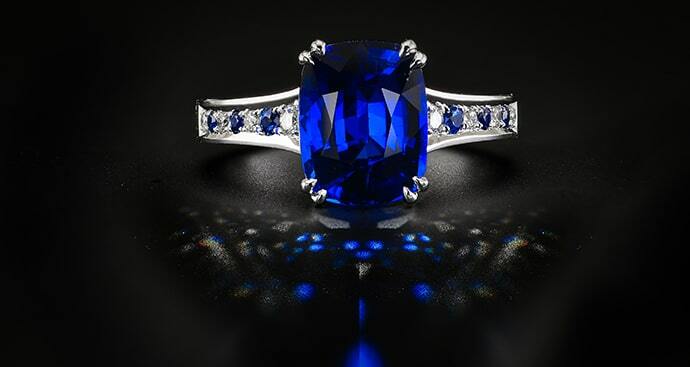 While blue sapphires are the most popular color sapphire, there are many other colors as well. These include pink, orange, yellow, green, violet, purple, and brown sapphires. These stones can also be found in their colorless, black, and gray forms. A variety of the mineral corundum, sapphires are sister gems to rubies, which are a variety of the same mineral. In fact, the only difference between a ruby and a sapphire is the color. Rubies are red and sapphires can be one of several colors or a combination of a few. The reason blue sapphires are considered the “main” type of sapphire is quite straightforward: they are most abundant in this color. This is why the other colors are sometimes called “fancy color sapphires,” similar to the way that the rarer color diamonds are called “fancy color diamonds.” However, it is slightly more complex than just numbers. 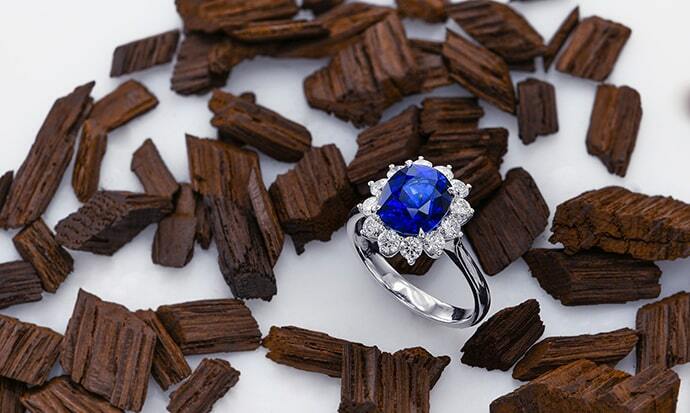 Blue sapphires are so popular because they are considered regal and because that is what sapphires are known for. As beautiful as some of the other color sapphires may be, they are not easily recognized as sapphires and thus do not have the same status. 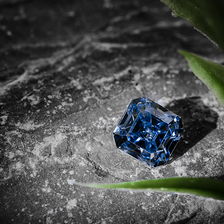 Every single sapphire hue has its own individual character and appeal. There is, however, something somewhat charming and sensuous about champagne color sapphires, particularly stones with a peach tone. They are light, bright, romantic, soft, and incredibly endearing. Their color tone is a perfect setting for spring engagements when the peach color is the perfect accent for that season. Unlike pink sapphires, which ooze with femininity, champagne diamonds bring something quite delicate to the table without being overly feminine or “girly.” Perhaps this is what makes this color stone so popular in the engagement ring industry. 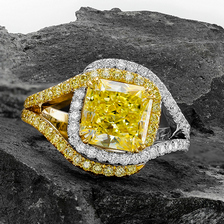 It can be set as a solitaire stone or surrounded by a halo of colorless stones to accentuate its unique color. Even though sapphires are quite sturdy, ranking 9 on the Mohs scale of hardness right after diamonds, which rank 10, they can scratch rather easily and must be cleaned by a professional. In comparison, it is quite rare that diamonds get scratched, but they can chip easier than sapphires. On the plus side, though, diamonds can be cleaned with great ease, using soap and water and do not need to be polished periodically like sapphires. If you like the look, browse through our collection of sapphire jewelry.